Mineralogist and geologist Dr Andrew Conly and his colleagues at the Lakehead University Mineralogy and Experimental Laboratory at Thunder Bay, Ontario, Canada, help to keep high tech companies environmentally friendly and ‘green’ by identifying minable sources of, of all things, carbon! Carbon – the unique element upon which life on Earth is based – can adopt a wide array of different forms. Although consisting entirely or primarily of carbon, carbon-based materials that we mine from the ground can be highly distinct from one another, depending on the geologic processes that have acted upon them. Take diamond for example – this pure, crystalline (and of course valuable) form of carbon is almost incomparable to coal – an impure, combustible sedimentary rock. If the right temperatures and pressures act upon carbon sediments over the centuries, another crystalline form can emerge, known as graphite. Unlike the 3-dimensional structure of diamond, this mineral possesses a layered, planar structure – the individual layers of which are called graphene. In each graphene layer, the carbon atoms are arranged in a two-dimensional honeycomb lattice. When talking about graphite, most people will say it’s the stuff in pencils. In fact, the name graphite comes from the Greek word graphein, which means to write or draw. But graphite and graphene sheets have a myriad of uses in our modern technology, such as in steel production, batteries, semiconductors, brake linings, lubricants, motors, plastics and electrodes. In fact, natural graphite is usually too impure to satisfy some of the more high-tech applications, so synthetic graphite has become quite valuable for use in scientific research and other highly technical endeavours. However, production of synthetic graphite requires the thermal transformation of petroleum coke, a byproduct of oil production, which has many unfavourable environmental impacts. This is where Dr Conly and his collaboration with the Zenyatta Ventures Ltd. (Zenyatta) team are making their mark. In 2005, a couple of years after starting at Lakehead University, Dr Conly organised the Lakehead University Mineralogy and Experimental Laboratory (LUMINX). LUMINX, a member of the Lakehead University Centre for Analytical Services, provides technical services to outside individuals and companies both private and public. The laboratories also provide interested students the necessary training and handson access to modern technologies with the goal of letting them develop essential skills to ultimately benefit the economic future of northern Ontario. As far as LUMINX, Dr Conly says its main focus is ‘to provide advanced mineralogical and geochemical technical services and expertise that are not readily available from commercial service providers.’ Many LUMINX clients are either individuals or small junior exploration companies that are in the initial stages of exploration and have specific mineralogical and geochemical questions that might not meet the scope of larger service providers, or that may require more of a research approach to their scientific questions. While LUMINX largely provides services for the exploration sector, Dr Conly’s lab also provides environmental services such as static and kinetic acid-base accounting tests. LUMINX has worked with individuals, small companies, international companies, as well as provincial, state and federal government agencies. ‘It is always the goal of LUMINX to evolve a technical service contract into a full-scale, multi-year research project,’ Dr Conly tells us. And in 2011, he connected with Zenyatta. In late December of 2011, the CEO and President of Zenyatta, Aubrey Eveleigh, contacted Dr Conly about some interesting attributes of their drill core from a property that they were exploring in northeastern Ontario, Canada. Dr Conly and his research associate Lindsay Moore visited Zenyatta’s office in Thunder Bay to sample what was immediately evident upon inspection of the core – Zenyatta’s exploration efforts had uncovered a very unusual graphite deposit. This marked that start of what has become an unbelievable and completely unplanned research opportunity. Dr Conly found that Zenyatta had uncovered graphite deposits that exist as breccia pipes in igneous rocks – something globally rare. ‘These types of graphite deposits have the potential to produce high-purity graphite required to compete with the $8 billion per year synthetic graphite market,’ he explains. High-purity graphite – perhaps purer than 99.9% graphitic carbon – is required to support Canada’s emerging green technology sector. High-purity graphite is required for the manufacturing of lithium-ion batteries, fuel cells, graphene-based applications, and pebble-bed nuclear reactors, all used to store or provide renewable energy. In fact, Canada is on the verge of potentially developing the world’s first fluid-derived, igneous-hosted graphite deposit because of Zenyatta’s discovery. The Albany graphite deposit was formed by the separation of water vapour rich in carbon dioxide and methane from magma chambers deep in the earth. Dr Conly says that mining and processing costs for this natural graphite would come at much lower production and environmental costs over synthetic graphite. In fact, synthetic graphite is a petroleum by-product, since it results from the refining process of oil. But Dr Conly says that ‘only about 5% of the global supply of petroleum coke can be thermally transformed into synthetic graphite, a transformation process that requires substantial energy input since temperatures exceeding 3000°C over 30–60 days are required.’ Thus, graphite that is produced by expensive (upwards of US$6,000 per tonne) and energy demanding refinement of petroleum coke has a very large carbon footprint. Zenyatta is now developing a metallurgical process to purify the graphite from this discovery, achieving a carbon purity of over 99.9% using a proprietary and more environmentally friendly purification process. (A) Geophysical map showing the location of the Albany graphitic breccia pipes within the Nagagami River Alkalic Complex. (B) 3D block model showing the graphite grade distribution within the two breccia pipes that comprise the Albany graphite deposit (courtesy of Zenyatta Ventures Ltd.). (C) Drill core sample from the West pipe displaying the typical breccia texture of the graphite-hosting syenites. (D) Photo of the graphite mineralisation (light grey mineral). (E) SEM image of in situ µm to nm sized graphite. (F) SEM image of µm to nm after liberation by caustic leach. To generate such high-purity graphite usually requires some form of mechanical, chemical and/or thermal treatment. Zenyatta is working on improving the mechanical– chemical process. Depending on the host rock to the graphite, the chemical methods vary, but they typically involve either hydrofluoric acid or a caustic bake/leach process. Zenyatta is currently working on optimising a caustic purification process for Albany graphite so that much less caustic soda is used in the process while still achieving a high-purity product. This makes Zenyatta’s process environmentally friendlier than the hydrofluoric acid digestion used for many other graphite deposits in the world. Dr Conly tells us that ‘this process does not remove the need for environmental monitoring and potential remediation, but it lessens the environmental impact’. All this potentially makes this graphite economically competitive with synthetic graphite used for high technology processes and is produced in a much more environmentally friendly way. Canada’s potential benefit from this discovery is its own supply of high-purity graphite for its emerging green technology sector. Beyond that, Dr Conly is interested in this graphite discovery not simply because the potential economic benefits are significant, but also because the geological understanding of igneous-related graphite deposits is limited, owing to very few known global discoveries and the resulting paucity of data on these formations. The scientific knowledge to be gained is significant and exciting. Consequently, a research partnership between Zenyatta and Lakehead University has been established. 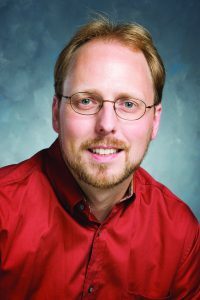 ‘This research will involve the integration of field and laboratory techniques, including core logging, microscopic studies, whole-rock geochemistry, spectroscopic investigations, radiogenic isotope geochemistry, geochronology and stable isotope geochemistry,’ Dr Conly explains. In addition to the potential longterm economic benefits, Canada will benefit in the short-term through student training and research. This will lead to the development of more robust mineral deposit models, which can be applied by exploration industries in Canada and by Canadian companies working abroad to aid in future discoveries. The university’s partnership with private industry benefits all parties and stimulates the advancement of science and science education, as well as the advancement of environmentally friendly technologies. Interestingly, the genesis of the deposit has resulted in the formation fine graphite crystallites that have been found to easily convert to graphene and associated derivatives with higher yields when compared to other natural graphite. This has been confirmed by other researchers at Lakehead and also by academics in Israel, Japan and the UK. 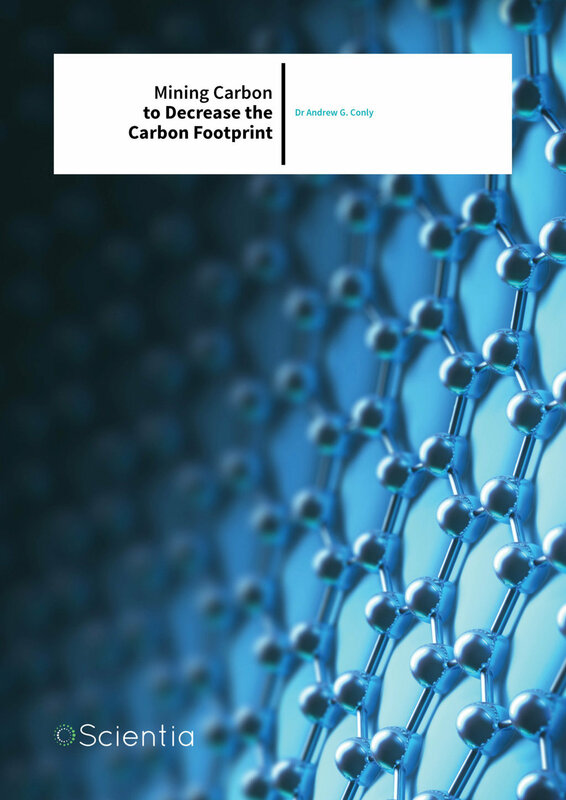 Zenyatta, realising the potential upside of the cleantech sector, is now actively involved in graphene research and application development and has been making significant progress. These days, graphite is Dr Conly’s main research focus – he has also worked with several other companies at the service contract level. But the study of igneous-hosted, fluid-derived deposits like the Zenyatta graphite find fits very well with his overall research goals and interests. For one thing, Dr Conly admits: ‘I have a general interest in studying the genesis of what one may call unique, rare, one-off or oddball deposits.’ While one can argue that every mineral deposit is unique in its own right, Dr Conly is more interested in working on deposits that cannot be readily classified within well-established ore deposit types or models and that are not the study of large and multiple research groups. His doctoral work on a specific Copper-Cobalt-Zinc-Manganese deposit in Baja Mexico was the first foray into such deposit oddities. For the Zenyatta deposit, he saw the potential to conduct ground-breaking research on a previously unrecognised sub-type of graphite deposit. He could be the first researcher to characterise a new sub-type and establish its origin and formation. Dr Conly readily admits that ‘a unique opportunity like this does play to one’s ego’, as it is not often that one has the opportunity to be the first to characterise a previously unrecognised style of mineralisation. 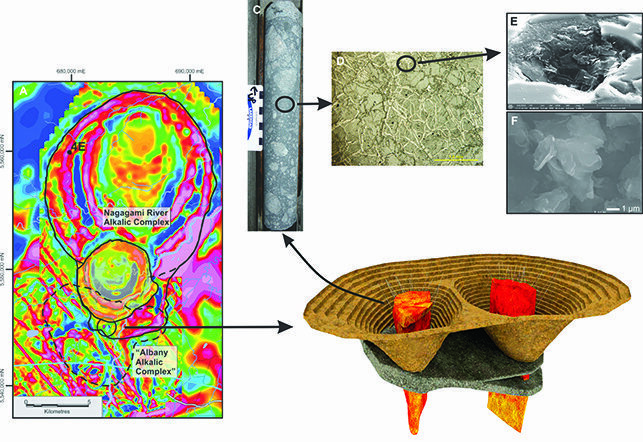 Second, his work on the Zenyatta deposit falls within his overarching research program where he is interested in using an integrated approach involving field, analytical and experimental techniques to understanding the complex interaction among magmatic, hydrothermal and meteoric fluids. What intrigues him about graphite is that it is somewhat of an unknown commodity within the geological community. In the past, the discovery of graphite by an exploration company could often have been viewed as the death knell for a program, as most economic geologists and geophysicists are familiar with graphite as a nuisance in geophysical exploration due to its excellent conductivity that produces a similar geophysical response to that of targeted massive sulphide mineralisation. However, the current and growing demand for graphite, both in its traditional market sectors and technology sectors, has resulted in some amusing situations. ‘It is not unheard of these days to see a company promote what in the not so distance past would have been considered a failed exploration play and now portray it as the latest graphite discovery, though often with questionable economic potential. However, this “jumping on the band wagon” approach has also highlighted some of the challenges associated with the graphite sector – challenges that are invigorating as well as frustrating,’ Dr Conly tells us. Unlike precious and base metals that have variable, but pre-set market prices, graphite has more economic parallels to commodities such as rare earth elements and diamonds. The valuation for any graphite producer comes down to grade-tonnage and a host of other attributes that ultimately dictate its market use, including but not limited to: purity, the percentage of carbon that can be achieved through processing; crystal size and shape; and, the physical-chemical properties, like conductivity and crystallographic properties. The challenge is that the specific attributes are dictated by the oftenproprietary requirements of the end-users and, therefore, often the performance of a producer’s graphite is not always fully disclosed. This then also results in graphite’s market price not being pre-set, but rather negotiated with individual end users. However, Dr Conly sees that the general lack of understanding and market complexities have provided him and his colleagues with ample research opportunities and challenges that were non-existent just a few years ago. This marks the last year of Dr Conly’s grant from Natural Sciences and Engineering Research Council supporting his project with Zenyatta. However, Dr Conly tells us that the grant was just recently extended by NSERC into 2018, as there have been some delays encountered due to some analytical challenges. So, the next steps are to ensure that all the milestones of the existing research project are met and of course all the results are published. Of the outstanding research goals, the main one that Dr Conly and his group are focusing on is constraining the age of the graphite deposit through Uranium-Lead isotope dating of the igneous host rocks and other related igneous rocks. Dr Conly thinks this ‘is a critical gap in our data and will ultimately be a key finding of the research.’ The age data will also enable him and his team to chronologically relate the formation of the deposit to specific regional geological events related to the Superior geological province. Dr Andrew Conly took his studies at Carleton University in Ottawa, Canada, receiving a BSc in Geology and MSc in Earth Science. He then received his PhD in Geology from the University of Toronto. In 2003, Dr Conly joined the faculty of Lakehead University Department of Geology. Then, in 2005, he started the Lakehead University Mineralogy and Experimental Laboratory (LUMINX), which is a member laboratory of the Lakehead University Centre for Analytical Services (LUCAS). The role of LUCAS laboratories is to provide technical services to outside researchers and companies. Dr Conly’s research interests include the fields of applied mineralogy, trace element geochemistry and isotope geochemistry. He is interested in the application of these disciplines to investigate the origins of metals and fluids responsible for the formation of magmatichydrothermal metal deposits and to aid in mine site remediation. Dr Conly’s research encompasses a wide variety of analytical instrumentation and methodologies, including optical microscopy, XRD, SEM-EDX, EMPA, FTIR and Raman spectroscopy, XRF, ICP-AES/ MS, stable isotopes, radiogenic isotopes and geochronology. His research has resulted in collaborative projects ranging from Canada and the United States to Mexico and France with university researchers, government, and mining and exploration companies. AG Conly and LC Moore, Geology, ore characteristics, and origin of the Albany graphite deposit. In: GJ Simandl and M Neetz (Eds. ), Symposium on Strategic and Critical Materials Proceedings, November 13–14, 2015, Victoria, British Columbia. British Columbia Ministry of Energy and Mines, British Columbia Geological Survey Paper 2015-3, 173–185. AG Conly, A.G, The Albany graphite deposit: a new sub-class of igneoushosted graphite: Geological Association of Canada – Mineralogical Association of Canada Program with Abstracts, 2014, 37, 60–61.